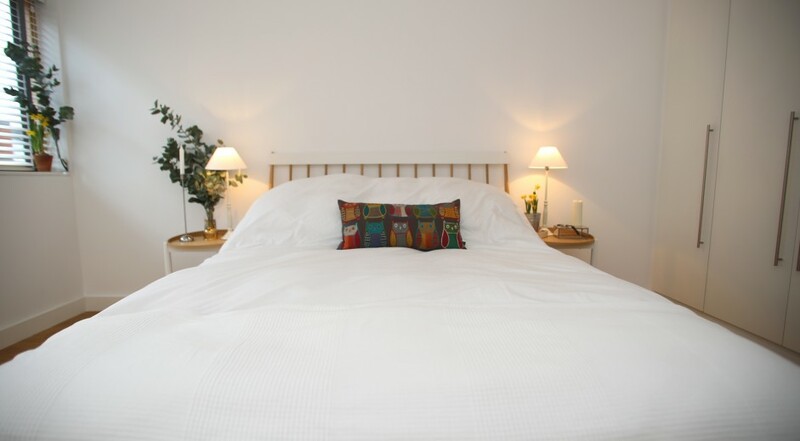 A solid oak King Size bed dressed in soft Egyptian cotton sheets sits in the light filled bedroom. 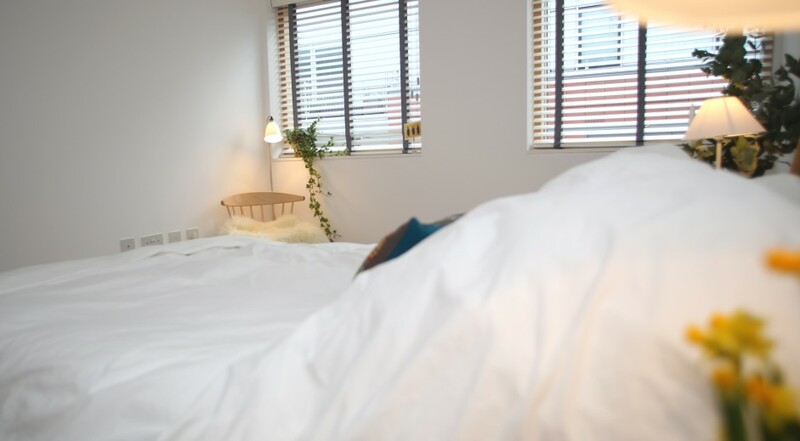 The bed has a great quality sprung mattress which allows an excellent night’s rest perfect for a respite from the wonders of London nightlife. 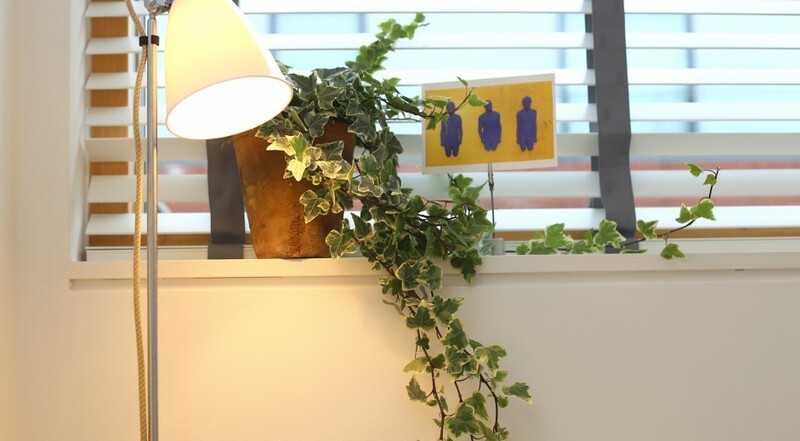 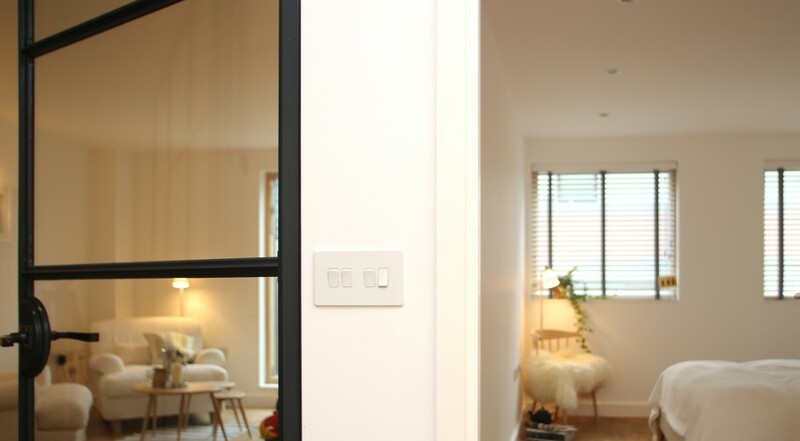 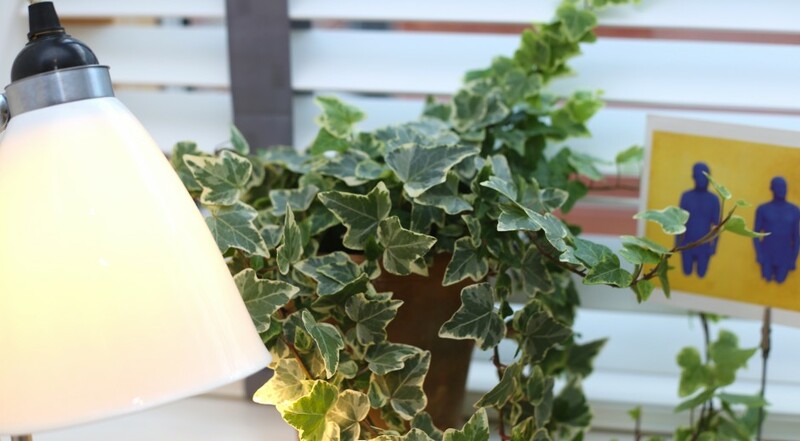 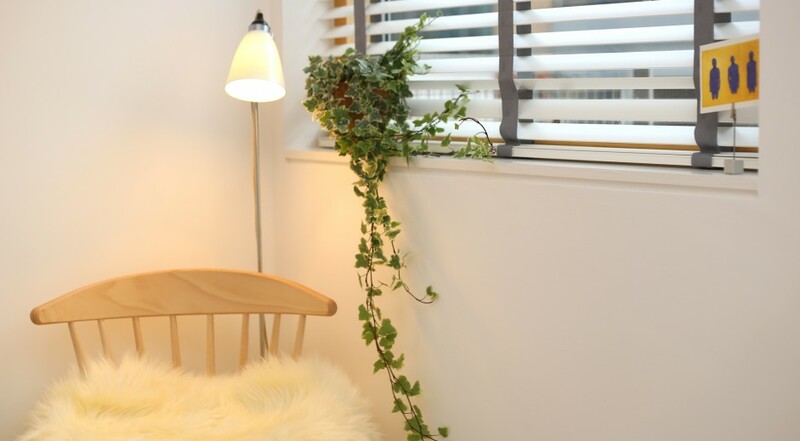 There is corner lighting on which can be controlled on entering to create a more intimate space. 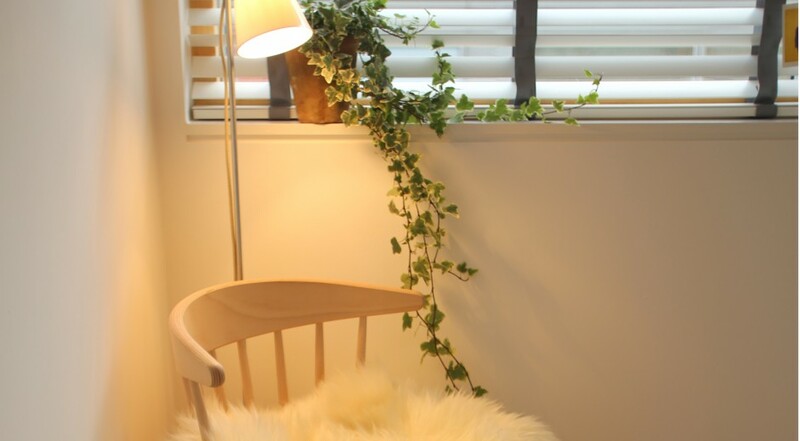 There are beautiful white wooden blinds and a crafted solid ash chair. 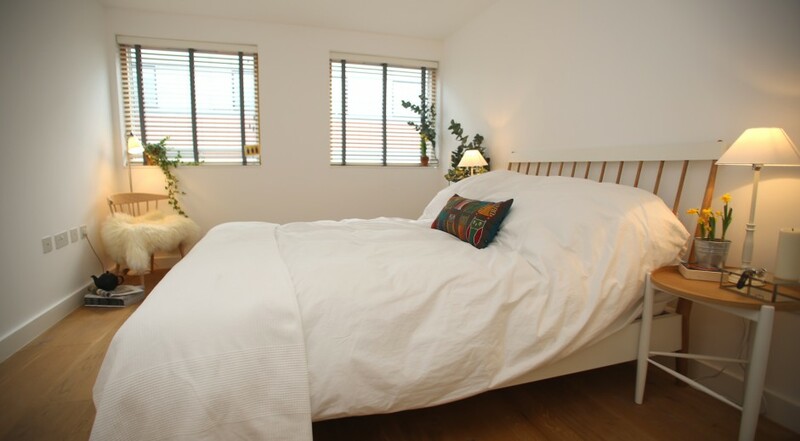 There is a large built in wardrobe with plenty of storage space. 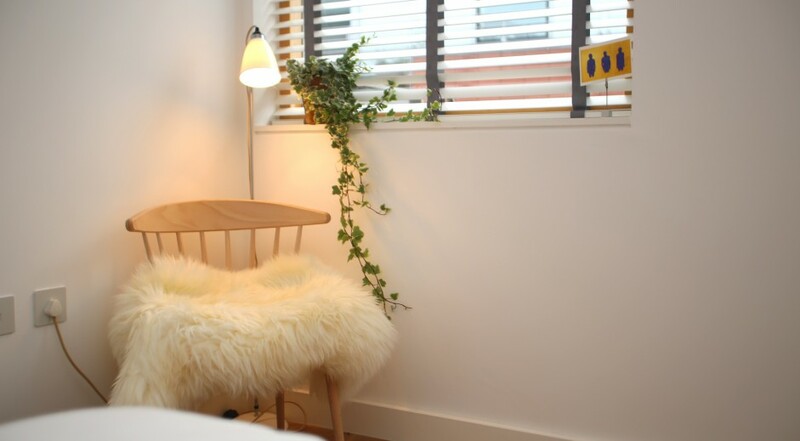 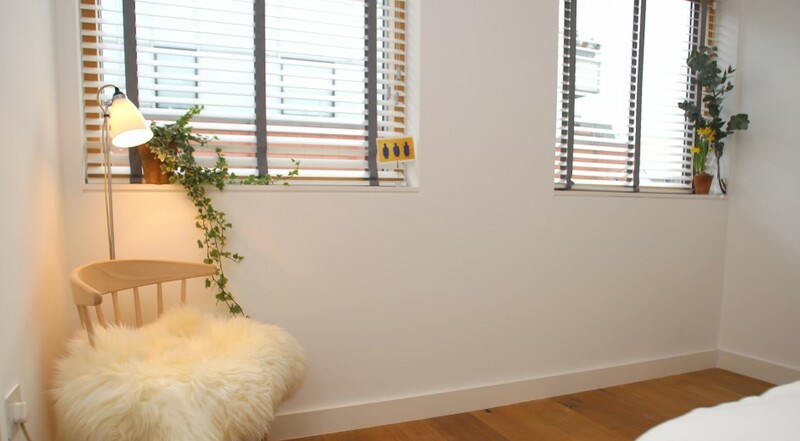 Fluffy pillows, cushions and sheepskins promote a feeling of calm and warmth. 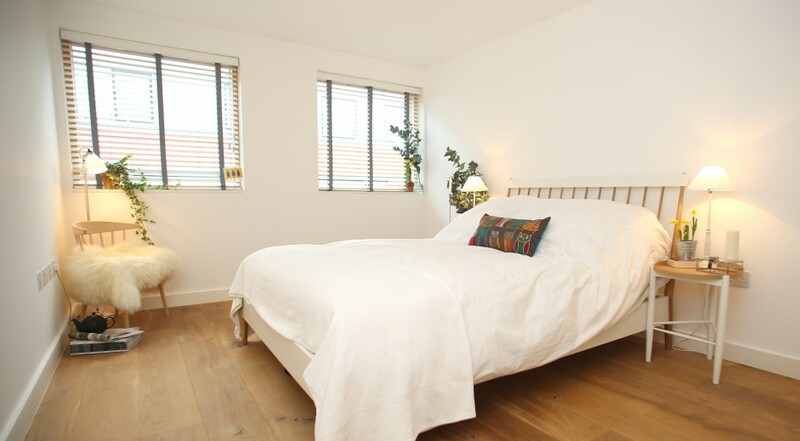 The top floor position of the Apartment allows an abundance of light into the room through the two large windows. 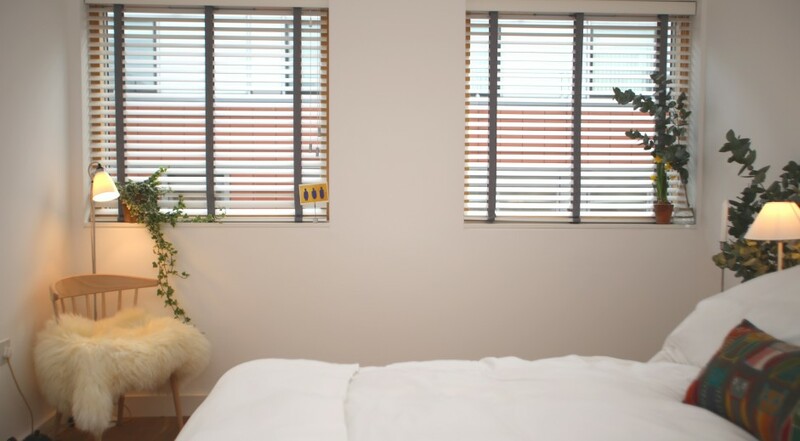 Be greeted by the morning sun and use the beautiful blinds to control the light. 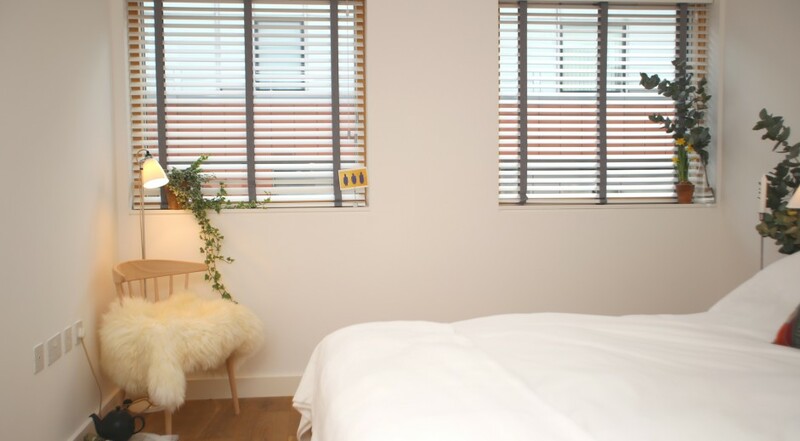 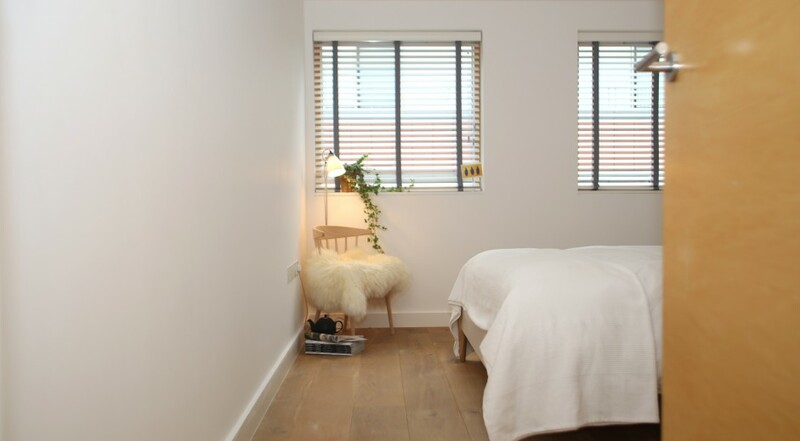 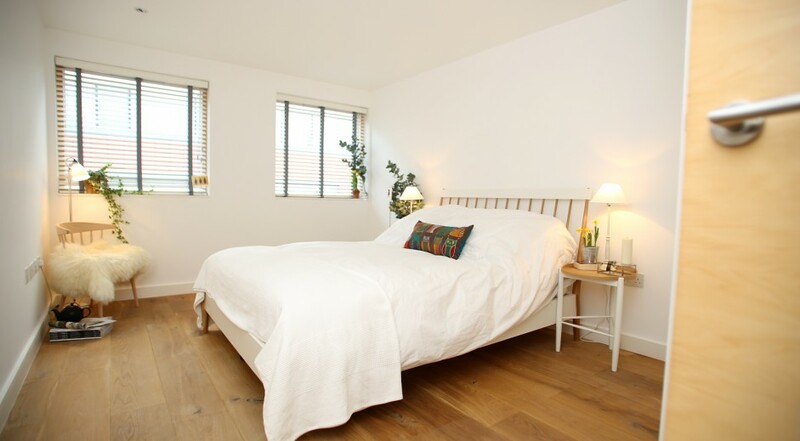 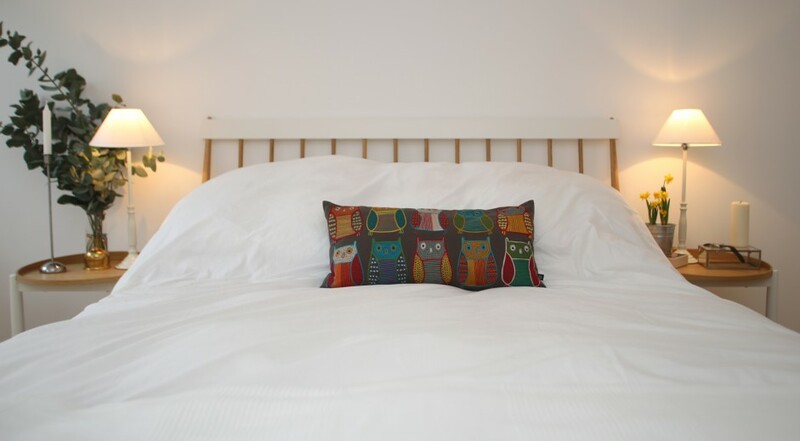 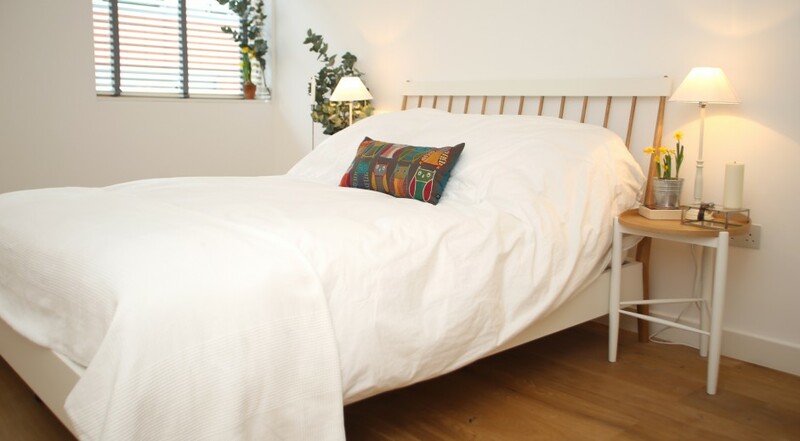 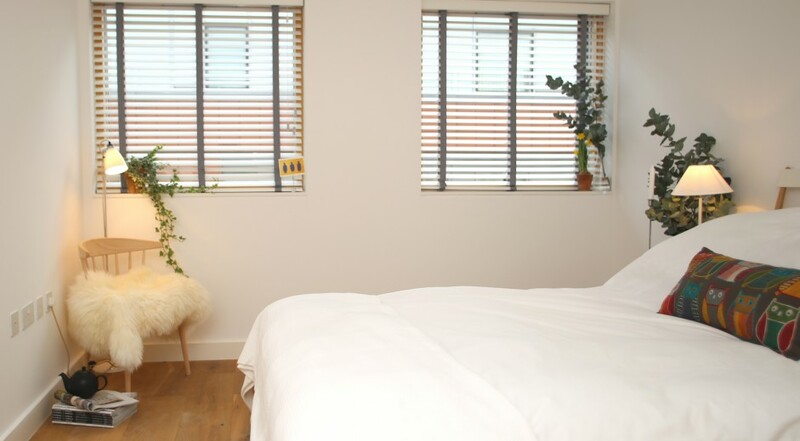 Soft Egyptian cotton linen, beautiful white wooden blinds, oak flooring have all been used to create a calm space perfect for resting after a day spent enjoying the city.